She said, he said. It's all the same to "even-handed" media. Yesterday, Hillary Clinton offered a reasonably detailed indictment of Donald Trump’s racially offensive utterances and associations. You don’t have to agree with every characterization she made, or with the underlying innuendo that Trump is himself a racist, to acknowledge she made a decent prosecutor’s prima facie case. 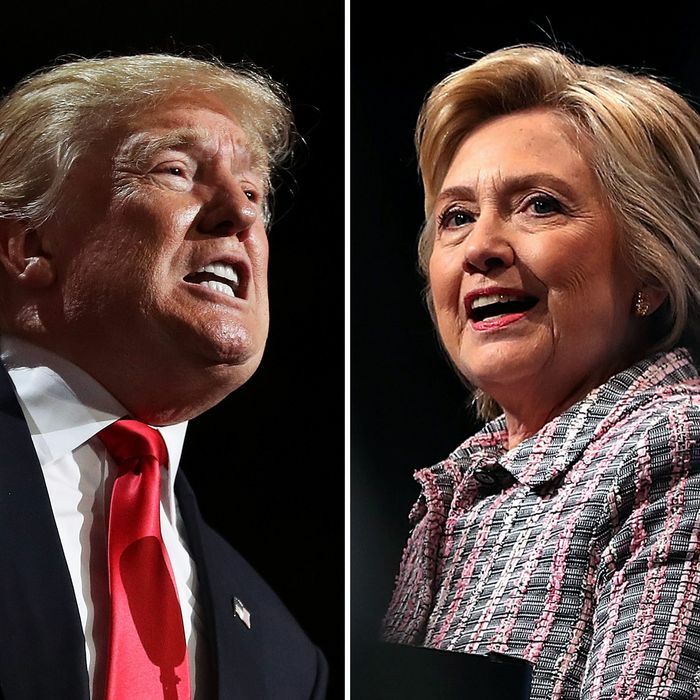 A series of racially charged accusations dominated the presidential campaign Thursday, with Democrat Hillary Clinton accusing Donald Trump of “taking hate groups mainstream,” while the Republican nominee repeatedly claimed that Clinton is a “bigot” toward African Americans. And on and on it went, with she said, he said, she said, he said. The only breaks from the scrupulously even-handed treatment were (1) an aside suggesting that Clinton’s talk about racism was an effort to distract attention from her email and Clinton Foundation problems, and (2) an account of Anderson Cooper’s efforts to get Trump to explain exactly how and why Clinton is a bigot. But if you were assessing the day on the campaign trail based strictly on the Post account, you’d judge it as a draw. In my own piece about Clinton’s Reno speech yesterday, I suggested one of the risks she ran was the perception that she was getting down in the gutter with Trump in a negative slug fest, a meme that could overwhelm the actual substance of what she is saying. But if major media organizations treat everything Trump says as equivalent in gravity and proximity to the truth as everything Clinton says, it could get even worse. After all, Trump throws out insults all the time, at nearly everybody. If insults equal fact-based attacks, the sheer volume of insults could win in the end.